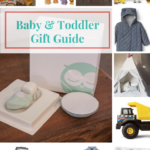 Thank you to MindWare and Rose & Rex for partnering with me on to find the best toddler gift ideas! It is still hard to believe Leyton is THREE! 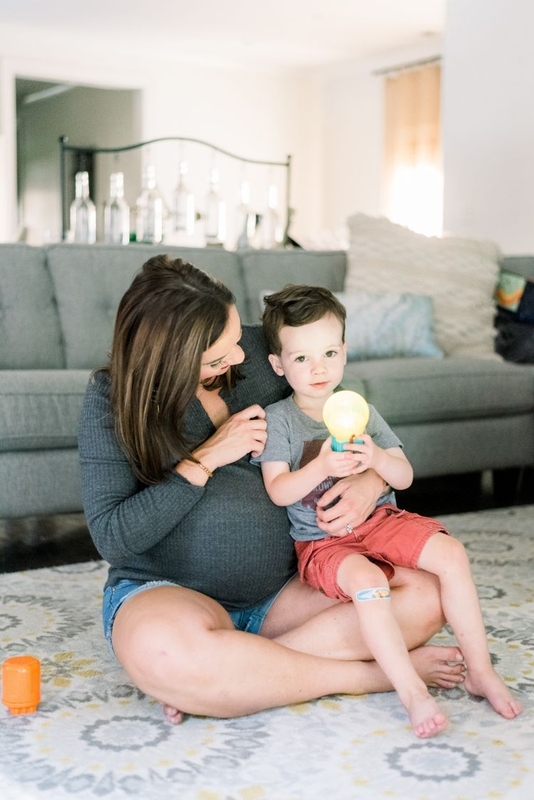 This past year has been so sweet watching him develop into a big boy with potty training, starting Mother’s Day Out, and becoming a big brother! If you missed my birthday letter to him, you can read it here. Last year, I asked YOU what the best gifts for a 2 year old/toddler were and you provided the best answers! His second birthday was a hit and he loved the gifts we got him. This year, I was in the same predicament and you delivered again! 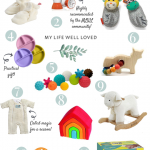 I am sharing all of your recommendations for the best toddler gift ideas below plus the 3 gifts we decided were the best gifts for Leyton this year! Shop the Blockitecture Big City Set HERE! 1. 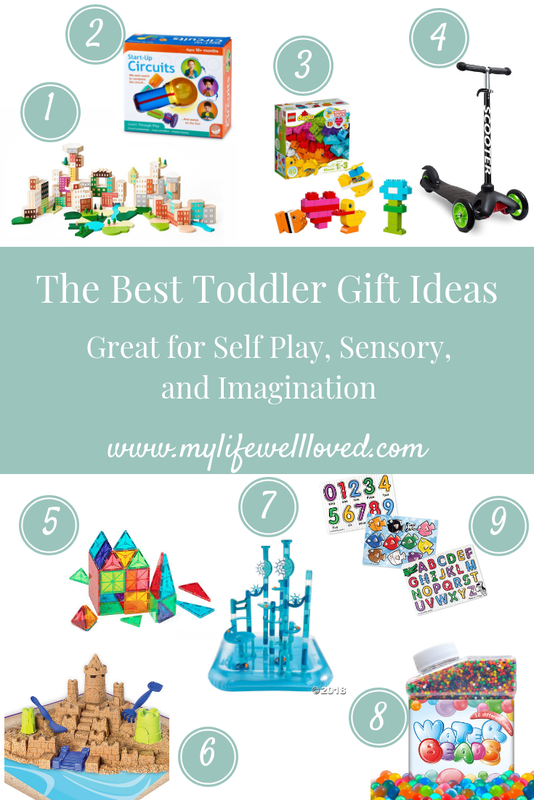 We really try to find toys for Leyton that encourage self/solo play (especially now that Finn is here), promote creativity and imagination, include sensory aspects, and are educational! 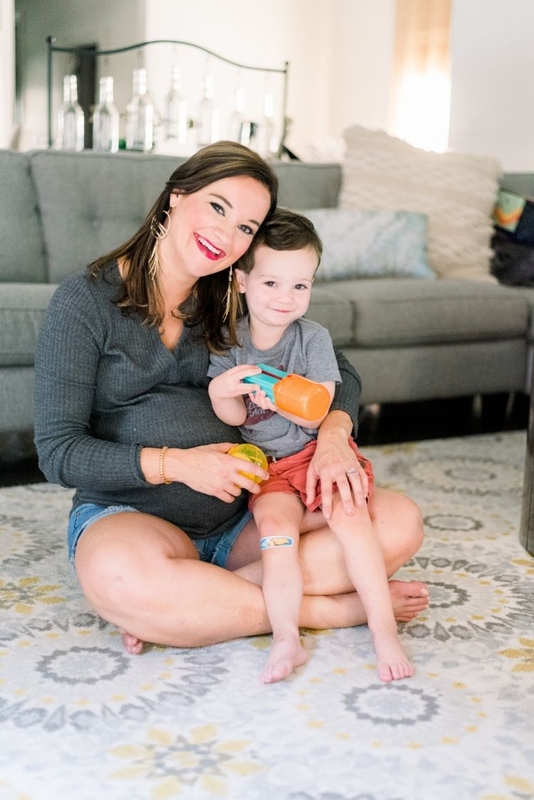 When shopping for toys and brands, I came across Rose & Rex – a toy boutique with toys created by teachers! Every toy is chosen by child development experts to help build necessary skills in little ones! 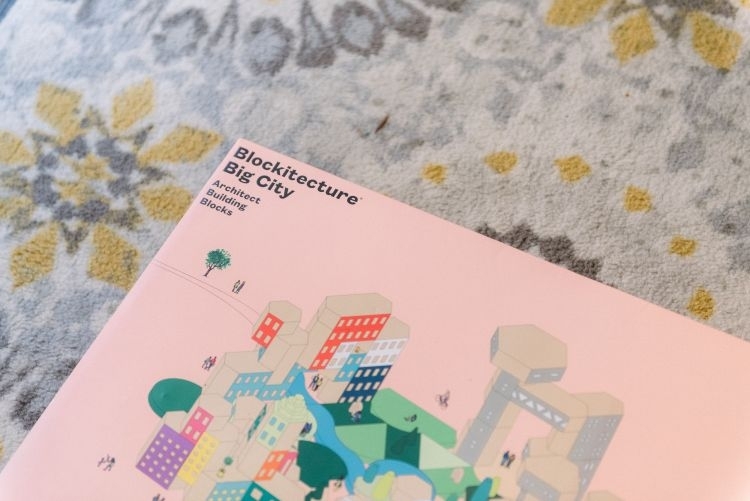 We decided to go with the Blockitecture Big City Building Blocks. 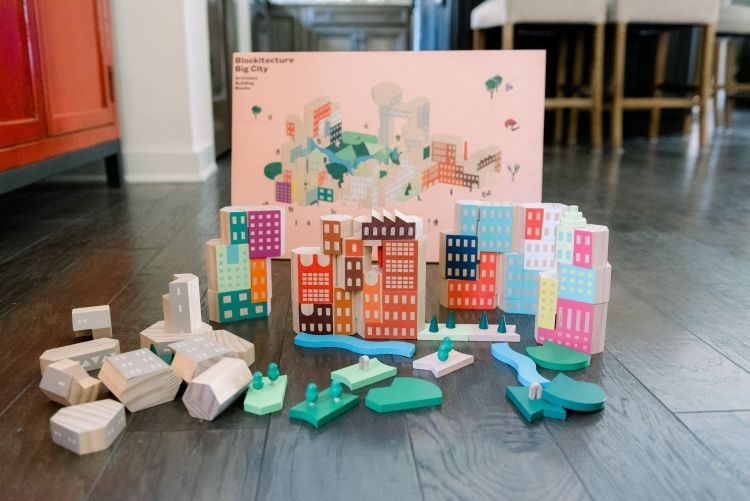 I love these because they help Leyton’s creativity and ingenuity but the thing I love most about this brand is their program to provide toys to their partner charity. 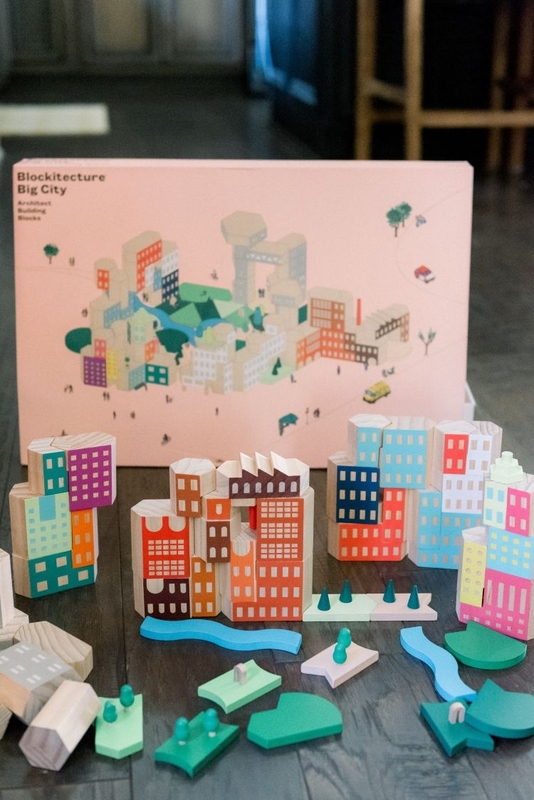 This block set provided 15 toys to other children! Such an amazing program. Shop the MindWare Start-Up Circuits HERE! 2. The other amazing brand I stumbled upon is MindWare! They also have products that encourage problem solving and ingenuity! The Start-Up Circuits (pictured above) include 3 switch blocks and 3 toppers that can be interchanged – one that lights up, one that whistles, and one that blows. Leyton loves figuring out how to switch and change these around to get the light to come on or fan to start! The other gift we got from MindWare is this Aqua Maze Marble Run. It is perfect for playing outdoors and helps him to begin learning the basics of physics! 3. If you are following along on Instagram Stories, you have seen we have been doing a LOT of sensory play! One of you recommended these Water Beads to me and when I saw how affordable they were on Amazon Prime, I decided they would be fun for Leyton to try out! We haven’t tested them out yet but look forward to trying them on a day when we need a fun outdoor activity. They are great for sensory play and his imagination! 4. Finally, Eric really wanted to get Leyton a US Kids Golf Club for his birthday to really kick off his golf career 😉 I love that Eric and Leyton play golf together and it is so cute to watch Leyton look up to daddy when they go to the course together! Leyton got the toy golf set for Christmas last year and loves it but this is more of a real club! Magna Tiles – This is by far one of the most popular toddler gift ideas EVER! Y’all recommended these to me last year when Leyton turned 2 and the number of people who recommended them again this year is too many to count! 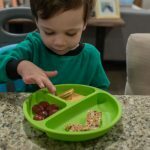 Train Table – We ordered this one for Leyton this past Christmas and it is still something he loves playing with! We got it on a killer Black Friday or Cyber Monday deal. I will be sure to be on the lookout for it to go on sale again! Bike – Leyton also got this bike for Christmas! It is the best bike for littles because of the way it teaches them how to balance. 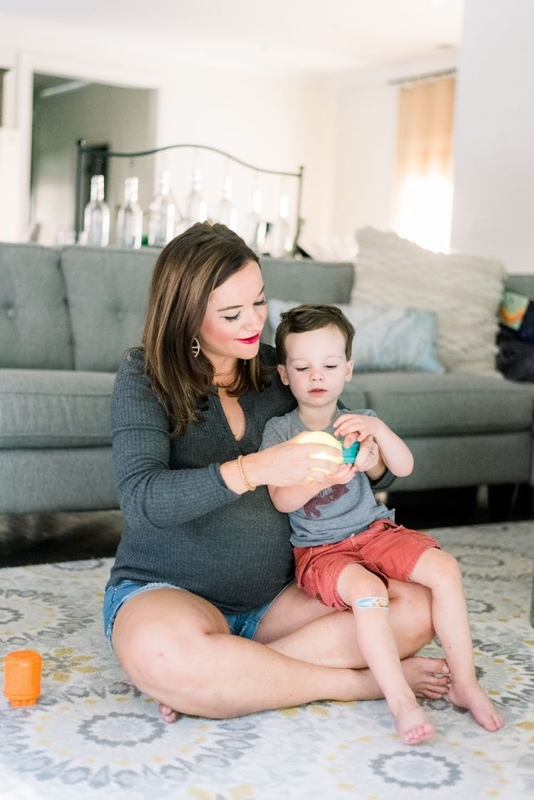 Magic Tracks – So many of you recommended I get a gift for Leyton when baby Finn arrived and we went with these Magic Tracks! Leyton was so surprised to receive a gift from baby brother and has been playing with them ever since! 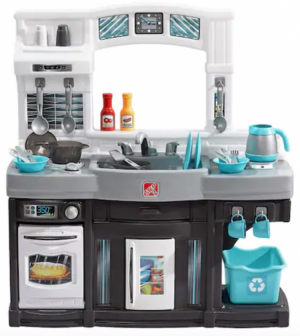 Melissa and Doug Kits – You really can’t go wrong with anything Melissa & Doug! Their kits are so affordable and there are so many different options. 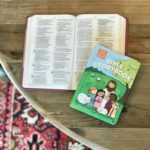 Outdoor Water Table – I always get so many questions when I post videos of Leyton playing outside with his water table. We love ours and it is the perfect activity for hot summer days! 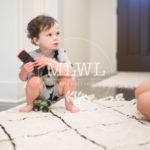 Puzzles – We have been doing more puzzles with Leyton – especially while I am breastfeeding Finn! Mini Trampoline – After so many of you recommended this to me, I found an amazing deal on one and y’all sold it out within minutes! We decided to wait on getting one for Leyton but so many of you grabbed one for your toddler! They seem like a great way for toddlers to burn energy! Kinetic Sand – Like the water beads, this looks like it would be a great sensory activity! Fisher Price Golf Set – We got this for Leyton last year at Christmas and it has been a HIT! So fun to take outside and play with in the yard. Plus, he can practice his golfing while daddy does too! 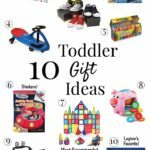 Pin the Best Toddler Gift Ideas Post for Later!